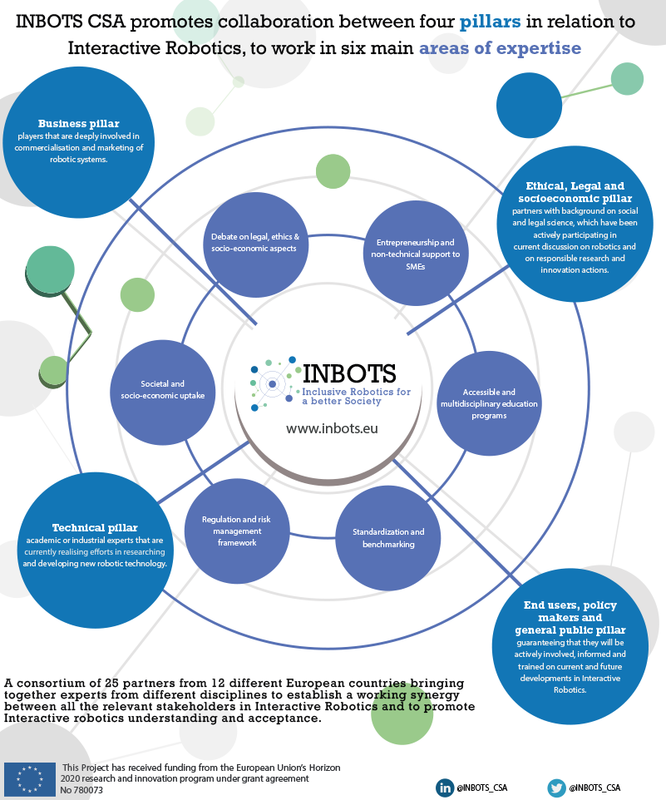 INBOTS fosters the collaboration between four pillars and six areas of expertise. Business pillar – players that are deeply involved in commercialisation and marketing of robotic systems. Technical pillar – academic or industrial experts that are currently realising eff¬orts in researching and developing new robotic technology. Ethical, Legal and Socioeconomic pillar – partners with a background on social and legal science, which have been actively participating in current discussions about robotics and about responsible research and innovation actions. 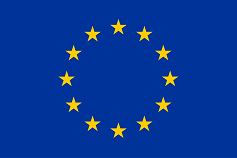 End Users, Policy Makers and General Public pillar – guaranteeing that they will be actively involved, informed and trained on current and future developments in Interactive Robotics. Entrepreneurship and non-technical support to SMEs. Debate on legal, ethics & socio-economic aspects. Accessible and multidisciplinary education programs.